It seems like there are a lot of jobs missing from the search results. If you look under the "search companies" tab, there are plenty with jobs available, but those jobs don't show up in the search. This is also a problem in Vermont. 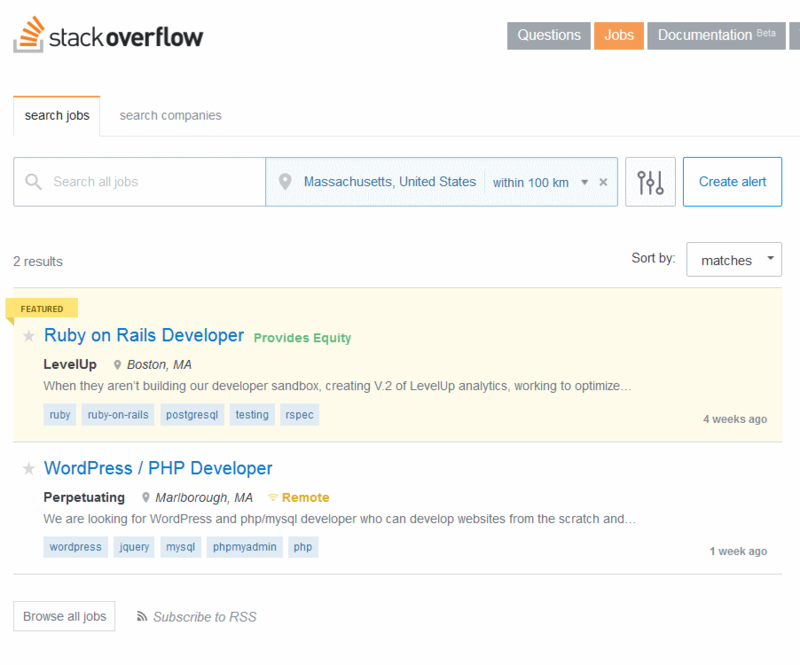 The URL is https://stackoverflow.com/jobs?sort=i&l=Massachusetts%2C+United+States&d=20&u=Km - Accessing it from the Caribbean. Your job preferences had not been synced correctly. The problem should now be fixed, and you should see more results. Update: There were additional geocoding issues which have been fixed as well.